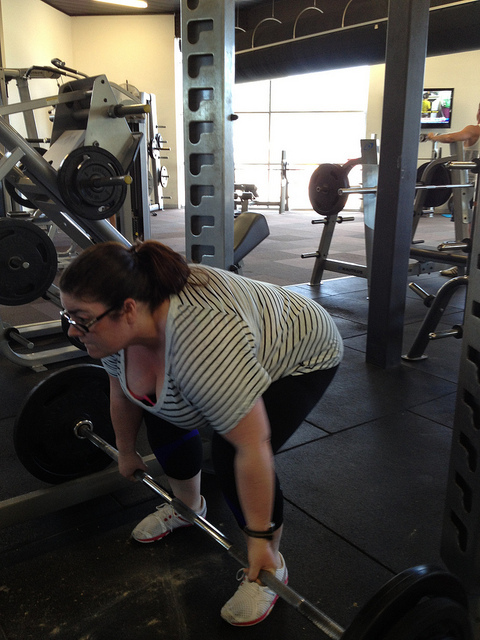 Last-night I asked my trainer to take a few photos of me dead-lifting, he took some awesome photos, but it also reminded me of how far I’ve come! I love this photo because I look strong. Also because I’m lifting 90kg/198lbs, but there isn’t any strain on my face, it looks easy. In my head, I’m saying … ‘and UP’. 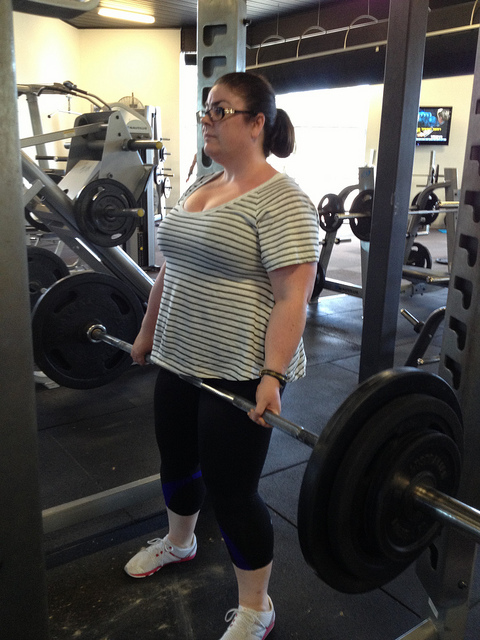 Every day on the MFP forums, I encourage heavy people to lift heavy weights. But when you are truly big, there are some unique challenges. When I first started out, I was 125kg/275lbs. I couldn’t bend over, with my elbows outside my knees, the bar close to my shins and still reach the bar. I want you to know, that when the weight on the bar is low, if you can’t reach the bar because of your belly, it’s OK to have the bar a bit further away from your shins . Or to have a more ‘sumo’ styled stance so your belly fits between your thighs. Just make sure you adjust your form as your weight comes off and the weight on the bar gets heavier.